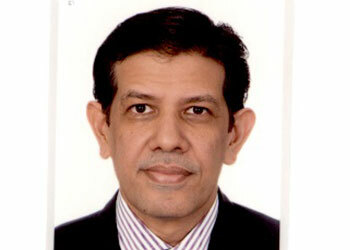 Naseer Ali Khan | TPL Trakker Ltd.
Mr. Khan is a professional who has an overall experience of over twenty years. He is currently holding the position of Group CFO at TPL Corp Ltd. and had been working as an independent financial consultant before joining TPL Corp Ltd. Prior to that he had been associated with Arabian Bulk Trade Group at Al Khobar, KSA, Habib Metropolitan Bank, Akzo Nobel Pakistan Limited, Zaver Petroleum Corporation Limited, Al Futtaim Group and Arthur Anderson respectively. He has done his CA from Institute of Chartered Accountants in England and Wales. Mr. Khan possesses strong interpersonal & communication skills, he has an extensive background in developing, implementing and measuring strategic & business planning initiatives and processes. With his effective leadership skills and a result oriented approach we are sure that he will be a positive addition in TPL by helping in achieving cost cutting practices throughout the organization. He is known for leading from the front, has extensive experience and expertise in areas of Audit and Finance; developing business strategy and monitor implementation, Improve financial reporting systems for better understanding of margins/profitability, Identification of cost drivers to assist with cost reduction/margin improvement initiatives, Optimization of working capital and inventory management, Renegotiation of banking arrangements to reduce borrowing costs, Appraisal and improvement of internal control environment.